Home : Offers : GIVE A HOLIDAY VOUCHER! 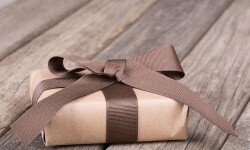 Why not give an exclusive gift? Something different and original? Give to someone a stay in our hotel! Just choose the value of the gift voucher and we'll send the voucher directly to the addressee. The value of the gift voucher will be deducted from the total cost of the stay.If the value of the gift voucher exceeds the total amount of the stay, you can use the residual value for a subsequent holiday. The voucher is valid for one year, contact us for further information.